With about three years to the Financial System Strategy 2020 set by the Central Bank of Nigeria, Donatus Eleko wonders if the target can be met? The Financial System Strategy 2020 (FSS 2020) was conceptualised in 2006 by the Central Bank of Nigeria (CBN), in collaboration with other key financial sector regulators to fast track and enhance the growth and development of Nigeria’s financial system as an integral part of the national vision 2020. Also, its strategic themes are to strengthen and deepen the domestic markets, enhance integration with the external financial markets, and promote sustainable economic development. However, as the target year draws closer, analysts are questioning if the regulator can meet the set target or there might be an extension of the target year. Globally, the relationship between the financial system and development remains very critical for any economy to realise its potential. Financial system development depends largely on the flow of funds from the banking system. Patrick Honohan of the Trinity College, Dublin, in a paper titled: “FSS 2020: Finance and Growth – Can the Engine Work for Nigeria?” had pointed out that the financial sector helps growth and lowers poverty. He stressed that Nigeria (as other African financial systems) has much to gain from energetic financial policy development combining modernism. Financial development is clearly an important cause of growth and financial sector development can be a powerful agent for growth and transformation. Based on the recognition of the linkage between financial deepening/growth and economic developments, the vision of the FSS 2020 is to make the Nigerian financial sector the fastest growing financial system among the emerging economies while the mission is to drive rapid and sustainable economic growth primarily in Nigeria and Africa. From the onset, the FSS 2020, which forms an integral part of the national vision was designed and developed with strategic objectives that will enable the Nigerian economy become one of the world safest and fastest growing economies by the year 2020. The CBN has constantly evolved appropriate regulations to achieve its objective. Some of these include policies such as the three-tiered Know Your Customer, gradual phasing out of the commission on turnover (COT), cashless Nigeria, which kicked off yesterday, revised bank charges, creation of a secondary market for the mortgage sector through the Mortgage Refinancing Company amongst others. By the end of 2012, the FSS 2020 was reviewed and refined to strategically make use of the various structures within the financial sector to achieve its goals. Its focus was redirected at the pension, mortgage, and insurance industries as well as medium, small and micro enterprises (MSME), the financial market and the entire populace. According to Godwin Emefiele, governor of the CBN, the regulator would not pretend that it not going to be a daunting challenge to be able to move from the percent level of financial inclusion the country is presently, to 80 percent by 2020. “I am happy that we have an array of various agencies of government in the regulatory and also the executive arm of government coming and working together towards seeing to it that we improve the level of financial inclusion saying how do we ensure that we move from what I describe as if today five out of 10 are those that have access to financial services, how do we ensure that by next three years, eight out of 10 are able to have access. “I am sure at the end of this session we would provide roadmap that will help us achieve that. It is daunting assignment but I think what is important is even if you achieve 80 percent financial inclusion, how do we as under auspices of FSS2020, see to it that all these agencies in the financial and regulatory sector contribute towards the growth and development of our country,” he added. As part of efforts to ensure that the country meets the FSS 2020, Emefiele also revealed that the bill for the establishment of financial consumer ombudsman would be re-submitted to the National Assembly. The bill, if passed into law, is expected to address the challenges of protection of consumers of financial services as well protect the integrity of the financial system. Emefiele also stressed the need for increased collaboration among government agencies and other institutions involved in the FSS 2020. This, he said was necessary to move the country from about 50 per cent success in financial inclusion presently, to 80 per cent in the next three years. “FSS 2020 will be resubmitting to the National Assembly a Bill for establishment of specific financial consumer ombudsman to address the challenges of protection of consumers of financial services as well as the protection of the integrity of the financial system,” he explained. Continuing, Emefiele pointed out that Nigeria has made significant progress since 2007 in actively reforming its financial system. He noted that despite the global economic meltdown in 2008, the FSS 2020 Transformation Programs and initiatives provided the platform for fundamental changes in the country’s economic and financial landscape. He explained: “Under financial market, Pension, MSME, Insurance and Mortgage sectors, FSS2020 has introduced some far-reaching initiatives which have helped to deepen the economy. “For example, our Payment System has tremendously improved. There is now a Central Bank of Nigeria Immediate Transfer Service (CBSITS) and an interbank platform for effecting payment transactions, Electronic Cheque Clearing (ECC) system allowing for a same day cheques-clearing process, Nigeria Electronic Funds Transfer (NEFT) as an alternative means for interbank funds transfer among others including the Real time gross settlement system. NMRC is a public private partnership arrangement between the federal government and the private sector with substantial take-off contribution from CBN to bridge the funding cost of residential mortgages and promote the availability as well as the affordability of good housing to Nigerians by increased liquidity in the mortgage market through commercial banks, primary mortgage banks, insurance companies, private equity investors and international financial institutions. In the medium, small and micro enterprises (MSME) sector of FSS2020, he pointed out that the central bank midwifed the establishment of the National Collateral Registry (NCR). 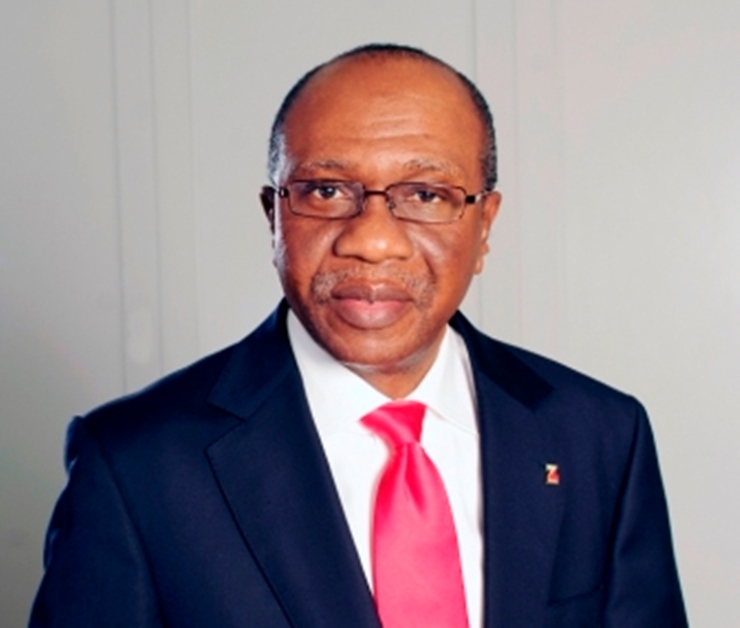 Furthermore, Emefiele disclosed that the FSS 2020 Insurance Sector was collaborating with NAICOM to promote insurance penetration in Nigeria with the introduction of micro insurance program, Takaful, increase access to insurance and diversifying of products into financial services for long term financing. According to him, a number of bills had been initiated by FSS2020 to strengthen and deepen the financial system including the financial ombudsman bill for consumer empowerment. On his part, the outgoing CBN Deputy Governor, Corporate Services, Alhaji Suleiman Barau, who has been the coordinator of the FSS 2020, in his assessment, said the FSS 2020 members have done well, even as he ruled out a possible extension. “Strategy development or reform document development is not a problem, it is keeping it alive. For us to be alive after 10 years is the first measure of assessment. In the context of things we have done in specifics, we are not where we want to be and that is the essence of this review so that we can see what we can do in three years that we have not done in the last 10 years. I think we have done moderately well,” he added. Notwithstanding the milestone, Barau pointed out that there are some challenges still militating against the achievements of FSS2020 objectives. These includes but not limited to the following: funding and logistics, technical challenges, human capital development, especially the inability to attract talent from abroad to Nigeria, delays in the passage of the identified financial sector bills by the national assembly is a drawback, policy inconsistency and lack of continuity. Speaking on what should be done to boost the implementation of the initiative, Barau stressed the need to initiate policies that would ease Doing Business in Nigeria and encourage investment within the country. Well, beyond rhetorics, those involved in the process should speed up their acts while carrying the public along on timelines and achievements.